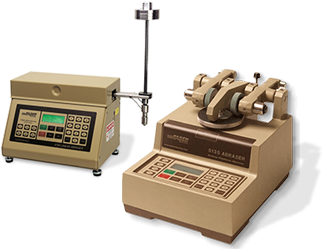 The Optical Micrometer is capable of making non-contact measurements on any surface, curved or flat. This instrument is useful for measuring depth of scratches, fractures, crazing, embedded voids and thickness of transparent materials (i.e. glass, acrylic). It can also measure scratches, cracks, corrosion, pits, blemishes, small dents and other imperfections. 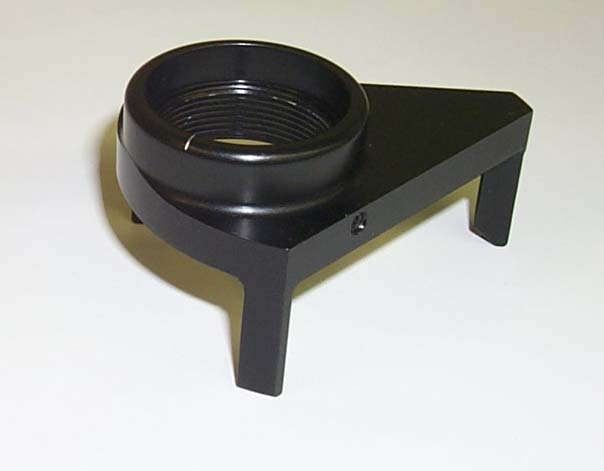 Using the optional reticle eyepiece on Model 966A, width measurements up to 0.040" can be made. This portable instrument is ideal for field applications such as windshields, leading edges, airframes, fuselage skin, propeller blades, rotor blades, turbine blades, coated surfaces, plus many more. 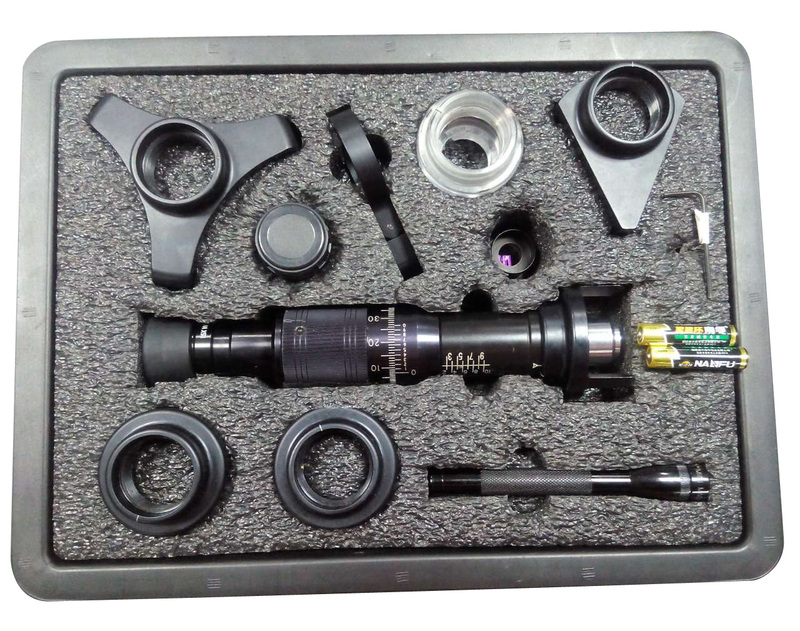 The Optical Micrometer is designed with a rugged housing and easy-to-read vernier scale. Model 966 provides 100x power permitting depth measurement up to 0.665". Model 966A provides 200x power, which allows depth measurement up to 0.260". 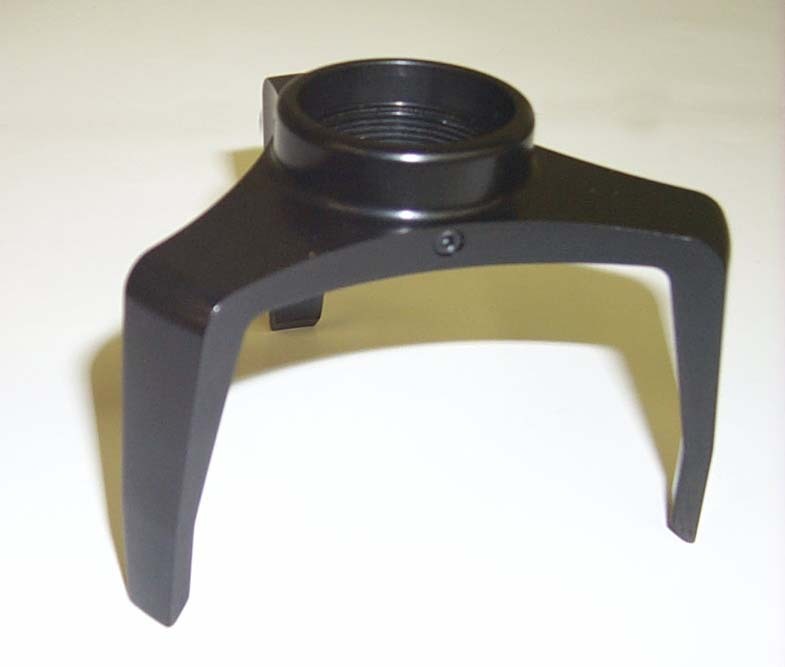 Both models are supplied with a standard tripod base that can be used on flat or simple curved surfaces. 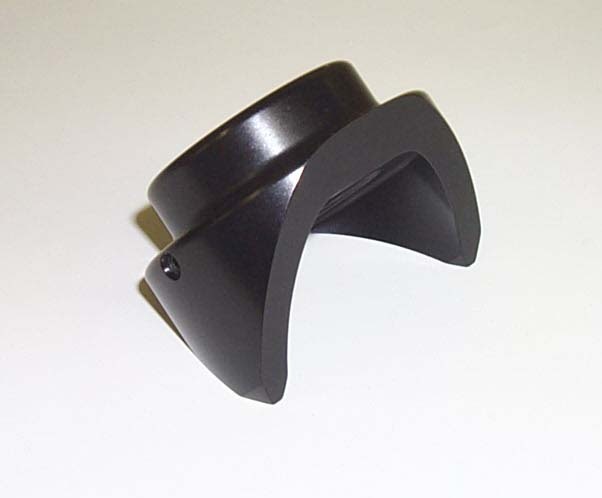 To take a surface measurement, the operator positions the Optical Micrometer over the area to be examined. After proper focusing, the operator takes a reading at the highest surface in the specific area. A second reading is taken at the lowest surface, and measurement is calculated by computing the difference between the two readings. 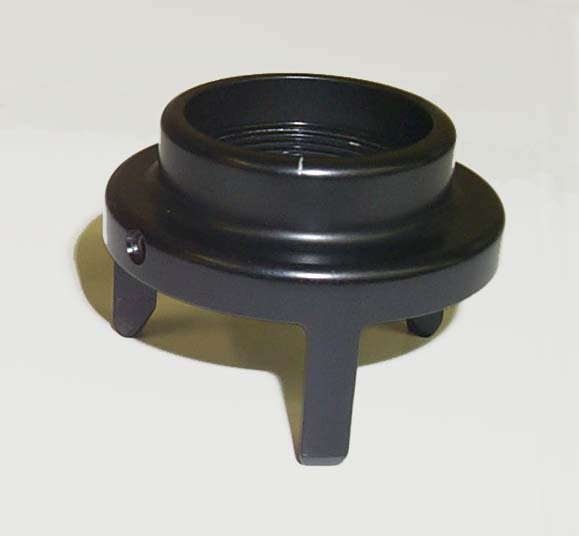 Six interchangeable mounting bases are available to accommodate convex, concave, or compound surfaces. 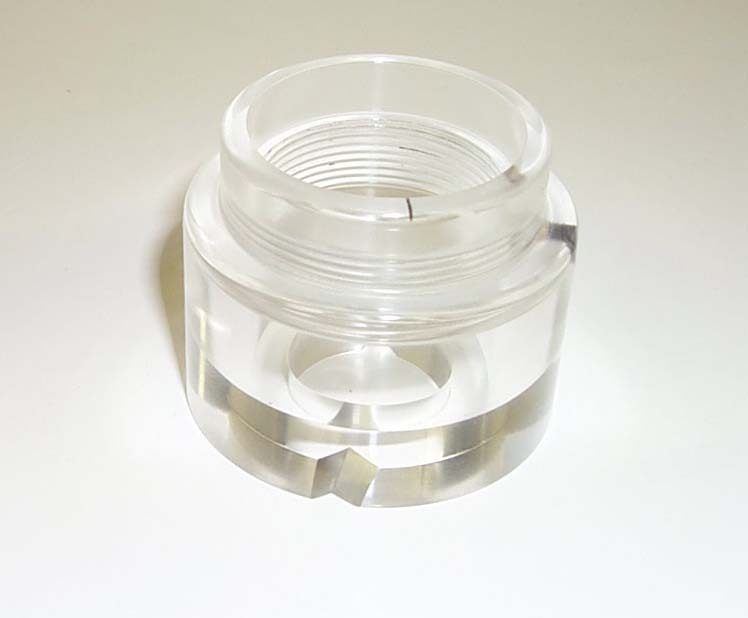 A micrometer light adapter can also be used to illuminate the sample, making measurement easier to read. 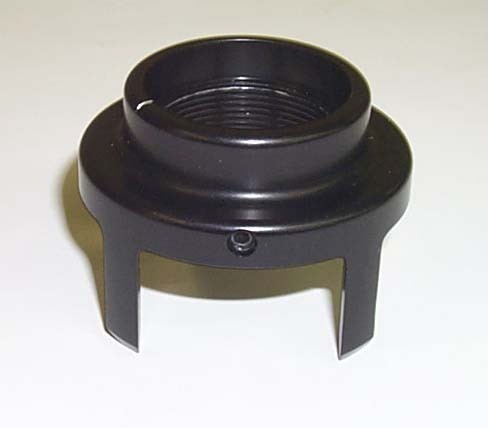 All six interchangeable are included with Model 966A1 Optical Micrometer Kit along with the micrometer light and adjustable bracket as shown in the image above.